If you’re faced with the choices of a traditional cappuccino or an American drip coffee, would you know which wake-up call to choose? If you wouldn’t, don’t worry; we have you covered. Read on for the full low-down on the difference between these two drinks from their brewing to the time of day they’re usually served. Honestly, there aren’t a whole lot of common elements between a cappuccino and a drip coffee. However, there are a few. First, with both a traditional cappuccino and an American drip coffee, the flavor of coffee is expected to be a strong feature of the beverage. Granted, regular coffee will almost always be weaker in flavor than espresso, which is used in cappuccinos. Additionally, both of these beverages benefit from the use of fresh, quality beans. The better and fresher your grounds, the tastier and more robust your beverage will be. The cappuccino is an espresso based Italian classic. It’s unique 1:1:1 structure became standardized in the 1940’s, and it’s been a fan favorite in both Europe and the United States ever since. This drink is typically served in a 6oz glass to show off its layering, which is so distinct that practiced baristas can feel the difference in weight between a well and poorly made capp. They are usually made with one or two shots of espresso and equal parts steamed milk and milk foam to balance it out. Cappuccinos have a relatively low-acid espresso flavor. Because of the precise portioning, that espresso still features strongly in the beverage. This as opposed to having the milk products overwhelm the coffee component. The result is a much weaker coffee beverage as compared to espresso. Traditional American coffee is much simpler than the cappuccino. Rather than fooling with an espresso machine or frothing milk, you just need a regular drip coffee maker. The machines work with just a few simple steps. You begin by placing a paper filter in the machine and filling it with your (freshly ground) grounds. The system then pumps water from a pre-filled water reservoir through a heating element, bringing it to its boiling point. Bubbles from the heated water rise through a separate tube and the water is dispersed over the grounds. Here, the water steeps with the grounds briefly before flowing through the filter and into your cup. For a cappuccino, the balance of the milk products with the espresso is a vital part of the drink construction. Cappuccinos are 1/3 espresso, 1/3 steamed milk, and 1/3 airy milk foam, creating a distinctly layered drink. Without the precise balance of these milk products, you simply won’t have a cappuccino. Too much and it’ resembles a latte; too little and it’s basically a traditional macchiato. On the other hand, the milk products are completely non-vital for an american coffee.If you order a coffee, chances are you’ll get a cup of drip coffee, served black. 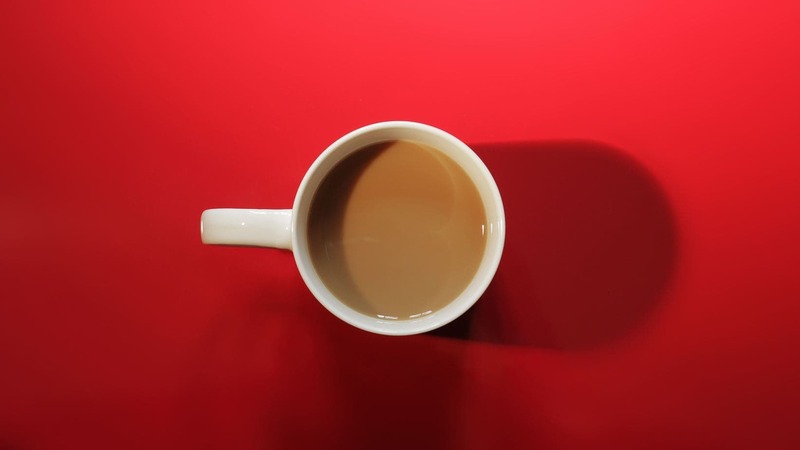 While many people choose to add milk or cream to their coffee, it can also be consumed black if the grounds used to make it are good enough (or you’re just partial to the bitterness). Making sure you have the right grind is an important part of any coffee beverage. The beans you’re grinding are just as important as the way you grind them. So make sure they’re high-quality and freshly roasted to get the most out of either drink. As you probably know, grinding your own beans to ensure freshness is always the best way to go. So if you don’t already have a grinder at home, we recommend looking into getting one. Having a grinder on hand is especially important when you want to brew multiple kinds of coffee beverages, such as the two we’re discussing here. The espresso in cappuccinos requires a very fine grind. It creates a very strong coffee concentrate that is much more intense than a traditional coffee. On the other hand, drip coffee requires a medium coarseness. This way, you can still get a decently strong cup without clogging up the brewing system. While you can obviously drink whatever drink you want whenever you want it, certain drinks are typically associated with particular times of day. Cappuccino is one such beverage. Traditionally served around breakfast time, you rarely find cappuccino offered as an after lunch or dinner drink. This is due to the large amount of indigestion-inducing milk products, which pair poorly with larger meals. On the other hand, you will find drip coffee served both at the beginning and end of the day. Many consumers drink coffee throughout the day, though it reaches peak popularity around meal times. For example, coffee is often paired with breakfast and lunch, and it is sometimes served at the end of a dinner course for banquets and other such events. According to the USDA nutrient database a cup of black coffee has relatively few calories, usually coming in at about 2 calories per each 8 oz cup. However, many coffee drinkers opt for multiple cups and/or sweeteners, so the calorie count can vary pretty heavily depending on your personal taste. If you’re measuring calories per tablespoon, cream comes in at the top with 52, followed by sugar at 48, and half-and-half at 20. So if you’re drinking one or two cups of near-black coffee with just a bit of half and half, you’re still doing alright nutrition-wise. However, if you consume an entire pot adorned with dairy and a couple heaping spoons of sugar… maybe not so much. You will find a similar story with the cappuccino. Espresso itself is pretty low on the calorie count; however, the 2/3 milk-based portion carries a much higher caloric value. A classic cappuccino will likely run around 110 calories with about 6 grams of fat. However, the Starbucks 16oz cappuccino has 140 calories. And if you start adding extra sugar, syrup, or cocoa power, that number will skyrocket pretty quickly. That said, the traditional cappuccino isn’t the least health conscious coffee you can order. Both lattes and flat whites with full cream milk come in higher on the calorie count. For both drinks, your milk choices matter! Like we mentioned, you can use half-and-half (insert piece on frothing half and half), which is 20 calories per tablespoon. You can also use whole milk at 9 Cal/tbsp, fat-free milk at 5 Cal/tbsp, or almond milk at 8 Cal/tbsp. However, with coffee, you can use non-dairy coffee creamers, which come in both powder and liquid forms. A plain non-dairy powder will be about 33 Cal/tbsp (the light version would be around 25). If you opt for liquid you’ll get about 10-20, depending on whether you opt for the light or regular option. In a nutshell, a cappuccino is a very precise espresso based drink with steamed milk and milk foam that is usually served around breakfast time. Drip coffee is a weaker coffee beverage that is usually served black but can have sugar or cream added. You can serve or drink it any time from before breakfast to after dinner.